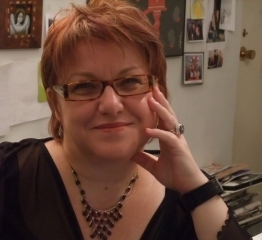 After working for around six years as the director of the Romanian Cultural Institute (ICR) in New York, Corina Suteu (in picture), the president, and Oana Radu, the vice-president of the institution, have resigned in protest against the Romanian government's recent actions concerning the organization, among which changing the president of ICR in Romania and moving the institutional under the helm of the Parliament. In a letter sent to local news agency Mediafax Corina Suteu said the decision “comes as a natural response to the series of measures taken against the Institution that I have served with passion and competence for the past six years." Suteu's grievances included the aggressive change of the Cultural Institute's mandate, which she describes as made "in the total absence of public debate and in contradiction with the attitudes and positions of an impressive number of people of culture and artists from Romania and abroad." According to the signed document by the former director of ICR New York, the reason not to participate in the “institutional agony” is because “the emancipated vision, both modern and systematic, which the team under the leadership of Horia Roman Patapievici put into practice in recent years is completely compromised,” said Corina Suteu. The resignations of Corina Suteu and Oana Radu come after the transfer of Romanian Cultural Institute from the rule of the President to the Senate, and a series of high level resignations from the organization. Andrei Marga, former External Affairs Minister, was recently voted head of the Romanian Cultural Institute (ICR). Romania’s Senate voted to put Marga at the helm of the institution, which was the subject of debate and media speculation. The ruling coalition was accused of trying to take over ICR and politicize the Cultural institute by putting it under the control of the country’s Parliament. Corina Suteu led ICR from New York from 2006. She began her career as a theater critic in Romania and started her association with the Cultural Institute after the fall of the communism in 1991. In 1991 she became director of the Theater Union of Romania (UNITER), and in 1995 became director of Mastere Specialisee Europeen des entreprises en Management culturalles (Dijon, France) and President of the Forum of European cultural networks.